The revelation comes from thousands of documents unveiled Wednesday that involve a closed case in which six of Walker's former aides were convicted. Walker was never alleged of any wrongdoing, nor was he investigated, but Democrats argue the documents will cast a shadow over the Republican governor's re-election bid this November and potentially embarrass him as he considers a 2016 presidential bid. Earlier Wednesday, Walker expressed doubt that the documents would reveal any major news that hasn't already been covered. "This is going to be communications from a county employee from several years ago that went through a legal process that concluded early last year," he told reporters. "I'm confident with that legal process, that throughout the process they were able to review each of those communications - the authorities were - and they concluded the end of that process last March." The documents show that Tom Nardelli, Walker's then-chief-of-staff, sent an email in April 2010 from his personal address to other county staff members and campaign operatives, saying Walker had requested a daily phone call between his staff and his campaign. "The County Executive has asked that we conduct a conference call daily at 8:00 a.m. to review events of the day or of a previous of future day, so we can better coordinate sound, timely responses, so we all know what the others are doing," Nardelli wrote. "These calls will be conducted for staff in the County Executive's office, although that is not an absolute, as I know there will be conflicts." Two days later, Walker's campaign manager, Keith Gilkes, responded with a conference call number and access code. "I have established a conference call number specifically for this call that will only be used for these conferences. This will be the same number and access code going forward for every call," Gilkes wrote. Emails found in close to 30,000 pages of documents released Wednesday show how Walker's aides communicated with each other using private email addresses during business hours. Walker's then-administration director, Cynthia Archer, welcomed Kelly Rindfleisch, Walker’s then-deputy chief of staff, in a March 2010 email to their private network of exchanges. In her email, she indicated that Walker himself was part of the unofficial system. "Consider yourself now in the 'inner circle'. 🙂 I use this private account quite a bit to communicate with SKW (Walker) and Nardelli. You should be sure you check it throughout the day," Archer wrote. "I actually check it all throughout the day," Rindfleisch responded. 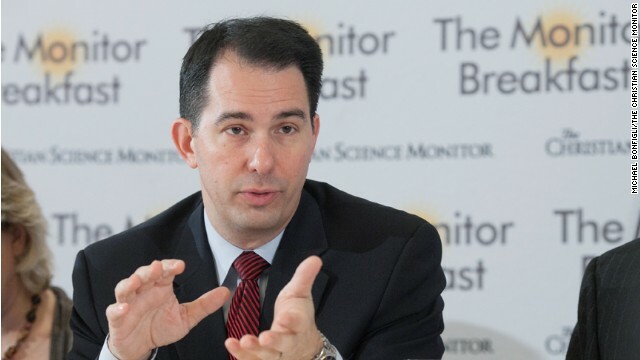 The messages appear to be the closet indicator that Walker also conducted political business during government hours. He was not charged in the investigation. The investigation by Milwaukee County District Attorney John Chisholm started in 2010 by targeting only one of Walker's aides: Darlene Wink, a county employee who dealt with constituent services in Walker's country executive office. In their affidavit, included in the newly released documents, prosecutors outline instances where Wink used her time as a public employee to send "politically related emails throughout the course of the workday." On September 24, 2009, according to investigators, Wink emailed David Karst, chairman of the Republican Party of Milwaukee County, and asked if he could review a press release that Wink wanted to send out in his name. The press release expressed the party's support for Walker's budget. Once Wink received an edited version of the press release, she sent it out to media contacts. The affidavit against Wink also outlines similar emails sent on September 25, 2009, April 9, 2010 and April 19, 2010. "These emails highlight partisan political activities during – or in a few instances, within minutes of – period of the when Darlene Wink's Ceridian timesheets indicate that Ms. Wink was working as a country employee," reads the affidavit. Following the years-long secret probe, known in Wisconsin as a John Doe investigation, Wink was sentenced in January 2013 to a year of probation, according to the Wisconsin State Journal. But in November of 2010, prosecutors sought to expand the scope of their investigation to include a search of Walker's county executive office and the home of Kelly Rindfleisch, Walker's then deputy chief of staff, according to the newly released documents. The order also allowed the prosecutors to expand the probe to include three other county aides: Nardelli, his chief of staff; Fran McLaughlin, his spokeswoman; and Dorothy Moore, his scheduler. In the November 1 hearing, two assistant district attorneys asked Judge Neal Nettesheim to approve expanding the investigation, a request the judge approved after the prosecutors detailed emails and communication between Walker's county staff and his campaign. The search warrants allowed prosecutors to seize "all items of evidence in whatever form and by whatever means they may have been created or storied." The warrant included had hard drives, computers, writings, papers or any photographic form. Much of the search centered around Rindfleisch, as the search warrant approved by the judge allowed prosecutors to search her car, home and financial records. She was accused of exchanging emails with campaign staff of Walker and of Brett Davis, who was running for lieutenant governor at the time. The newly released documents were sealed until Court of Appeals Judge Patricia Curley ruled last week the records should be made public, according to the Milwaukee Journal Sentinel. The documents come from Rindfleisch's case file. Rindfleisch pleaded guilty in 2012 for conducting political business during Walker's 2010 gubernatorial campaign while she was on the county's clock. Reports show she frequently emailed campaign officials using a private email address, as well as a router installed in the county executive office to separate those emails separated from county-related emails. In a September 2010 affidavit in support of the district attorney's search warrants, investigators lay out how Rindfliesch was trying to circumvent her work email by forwarding political matters to her personal accounts during work hours. "A review of emails obtained via search warrant from Tim Russell's 'timrussellwi@gmail.com' account indicates that on numerous occasions, Rindfleisch forwards messages from her Milwaukee County e-mail account to private email account at 'kmrindfleisch@gmail.com'," write investigators in the affidavit. "In turn, Ms. Rindfleisch then sends those messages on to additional parities, including Tim Russell and persons associated with the Scott Walker campaign." The affidavit continues: "Kelly Rindfleisch also appears to be the recipient of a significant number of emails addressed to her from Russell and others at the email address 'kmrindfleisch@gmail.com.' Many of these e-mails were sent during presumptive business days, Monday through Friday between 8 a.m. and 5 p.m."
Walker set off a firestorm in January 2011, soon after becoming governor, when he moved to curtail the collective bargaining rights of most Wisconsin state employees. With majorities in both houses of the legislature, Walker and his GOP allies pushed to limit raises for public employees – except police and firefighters – to the rate of inflation, bar unions from deducting dues from workers' paychecks and force them to hold a new certification vote every year. The bill was signed into law in March of 2011, following weeks of protests at the state capitol building in Madison. A group of Democratic lawmakers also briefly fled the state to delay a vote on the bill. Walker's efforts and the furor that followed put him under the national political spotlight and made him a hero to many tea party supporters and other grassroots conservative activists. The law was upheld in state courts, but the episode sparked an effort to recall Walker. He won the 2012 recall election. What else is in the emails? By May 2010, employees of Walker’s county executive office appear to have realized using the personal emails during the day was something they needed to stop. In testimony to a judge, investigator David Budde said this email was a “direct admission that Archer was using private email during the work day." "The significance of this email is that it shows that the people addressed on this email are acting in concert with the county executive staff to find alternative ways to communicate using private email during the workday," Budde said. - CNN's Bill Kirkos and Paul Steinhauser contributed to this report. The Koch brothers can buy Walker's way out of this as well. Unfortunately, in America lots of money can buy your way out of anything. "Walker is doing a good job "
Is that why Forbes says that Walker has turned WI into the worst place in the country to do business? YES INDEED ! Dim me dats lead from behind and have no respect for themself or others ! They should be charged with attempted murder of this great nation ! And LYING under Oath ! This is true .